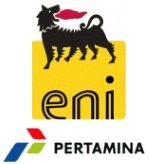 édité le 21/09/2018 - Plus de news de "ENI" - Voir la fiche entreprise de "ENI"
Eni and PT PERTAMINA (Persero) signed today in Porto Marghera, at Eni Green Refinery, a Memorandum of Understanding further expanding the relationship into green refinery. The Parties agreed to explore a wide array of new opportunities across the entire energy value chain. This Memorandum of Understanding represents a step forward in Eni’s strategy to strengthen its presence in the Far East, looking for new business opportunities with a particular focus in the Downstream sector; leveraging also Eni unrivalled experience in converting & operating first-class bio-refinery assets. Eni has been present in Indonesia since 2001, conducting operations of exploration and production. Today production derives from Muara Bakau block (Eni’s interest 55%) where Jangkrik field started-up in 2017. Pertamina is Indonesia’s leading integrated energy company. We are committed to an ongoing process of transformation and continuous improvement with the objective to achieve global standards of operational, environmental, and corporate performance. Our businesses include exploration and production (oil and gas), refining, manufacturing and marketing of oil products and petrochemicals. We are also engaged in the development of biofuels, geothermal power and other sustainable alternative energy sources.